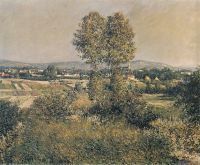 In 1860, Caillebotte’s father acquired a property in Yerres, a verdant river valley southeast of Paris. The young Caillebotte was instantly taken with the early nineteenth century gardens around the estate and the expanse of rolling hills that extended beyond. 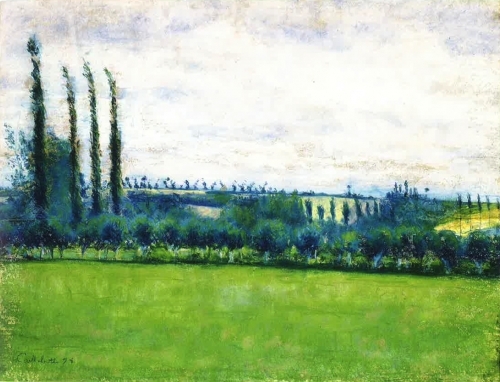 The landscape at Yerres, along with the gardens at Petit Gennevilliers, would figure prominently in the artist’s oeuvre. In La Vallée de l’Yerres, Caillebotte layers rich pastels to convey the patterned landscape of the valley. With a high horizon line, characteristic of many of the artist’s early landscapes, Caillebotte eschews the common expectations of landscape painting at the end of the nineteenth century with a boldly modern gesture. Pierre Wittmer writes of the significance which Yerres held for Caillebotte, “The Yerres river – thanks to its location and scenic attraction… – was as important to Gustave Caillebotte as the Epte was to Claude Monet or Mont Saint-Victoire was to Paul Cézanne. The artist adapts the reality of his world to his needs. 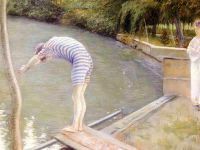 Gustave Caillebotte gave the sites in which he lived a new and original and wholly personal dimension. His rendering of rural life evokes its perennial and cyclic nature, always leaving us with a sense of the rhythm of passing days and seasons” (P. Wittmer, op. cit., p. 28). La Vallée de l’Yerres was included in the fourth group exhibition which the Impressionists mounted in 1879. 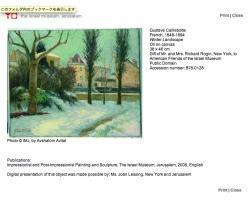 The exhibition took place at 28 avenue de l’Opera and included seminal works by Caillebotte, Degas, Monet and Pissarro. Caillebotte himself assumed an important role in organizing this fourth Impressionist group exhibition. The present work is one of only two known paintings that Caillebotte executed on the subject of Parc Monceau (fig. 2), a public garden located near the artist’s home on rue de Miromesnil, in the eighth arrondissement of Paris. 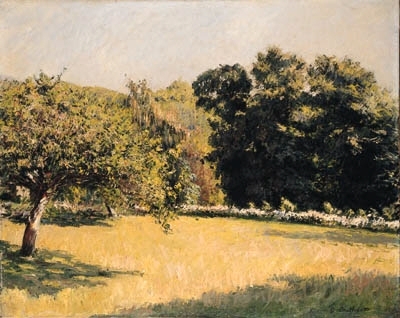 In the present version, Caillebotte has depicted the park on a bright spring day, using short, quick brushstrokes to render its lush undergrowth and to explore the play of light and shadow on the shrubs and around the benches. Commissioned by the Duke of Orléans, Parc Monceau was designed in the style of the English garden in the second half of the eighteenth century. Originally a private garden, it was converted into a public park under Baron Haussmann, and opened to the public in 1861. 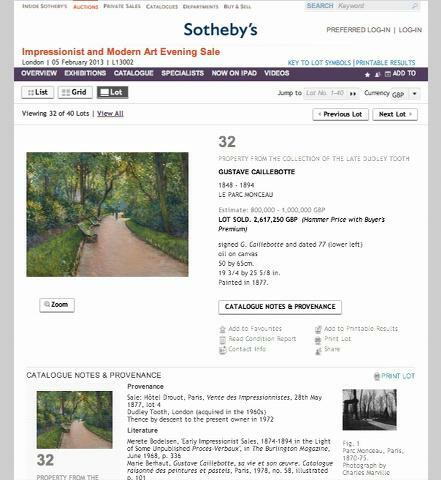 Caillebotte, labelled by a major retrospective exhibition at the Royal Academy of Arts in London as the ‘urban Impressionist’, found in the park a great subject to paint, as it combined his love of nature with that of the city. 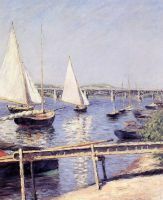 Julia Sagraves wrote about this subject-matter in the work of both Caillebotte and Monet (fig. 3): ‘At the same time that they were painting and exhibiting pictures of the area around Gare Saint-Lazare, Caillebotte and his friend Monet appear also to have shared an interest in another very different kind of urban space: the public city garden, and, in particular, Parc Monceau. 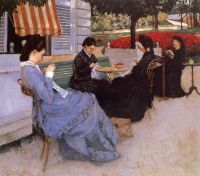 The park was located only blocks away from where Caillebotte lived throughout most of the 1870s. It was originally laid out in the eighteenth century as a private, picturesque garden. During the French Revolution, it was declared the property of the State, but in the ensuing decades it continued to pass in and out of private ownership, while also falling into general disrepair and disuse. It was only during the Second Empire, when the State firmly reclaimed and restored it, that Parc Monceau became “one of the most agreeable promenades in Paris”’ (J. Sagraves in Gustave Caillebotte: The Unknown Impressionist (exhibition catalogue), op. cit., p. 81). 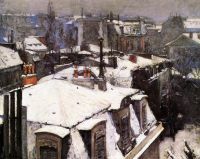 Throughout the 1870s, Caillebotte and Monet often chose to paint similar subjects, particularly views of Paris and its environs. 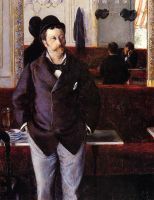 Caillebotte, whose family belonged to the affluent grande bourgeoisie, also provided financial support to Monet during this time, and acquired several of Monet’s paintings for his collection. 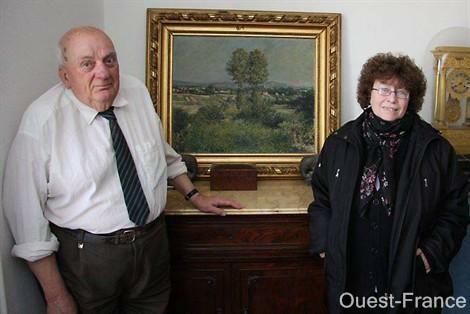 Writing about the present work, Julia Sagraves observed that it ‘recalls Monet in both its brushwork and composition. However, Caillebotte’s image resembles not so much Monet’s own views of the park, but instead his Apartment Interior [fig. 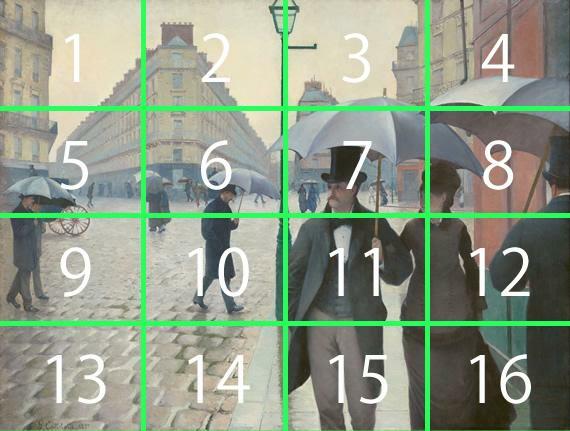 4], which Caillebotte owned at the time. In both works, a wide, smooth passageway (garden path, floor), tipped dramatically forward, cuts through the centre of the picture. At the end of this corridor stands a solitary, strangely diminished, indistinct figure, encased and nearly overwhelmed by the surrounding plant life. In depicting Parc Monceau in this manner, Caillebotte likened the space of his neighbourhood garden to private interior space, at once comforting and menacing’ (ibid., p. 81). Unlike Monet, whose depictions of the Parc Monceau focused on its social aspect, with groups of fashionably dressed men, women and children (fig. 3), Caillebotte chose to represent a more solitary vision of the park, centred around the gently curving line of the path, and the lush greenery that closes above it, almost creating the illusion of an interior space. While the plants and trees appear to be carefully designed, their wild growth dominates the composition, towering over the small figure of a man who walks down the path towards the viewer. Although executed in a few sketchy brushstrokes, the man, wearing a grey suit and a hat, can be identified as a Parisian gentleman. Furthermore, the meticulously aligned shrubs and grass alleys and the rhythmically spaced benches give the scene its air of urban environment, while at the same time creating a vibrant, dynamic composition. 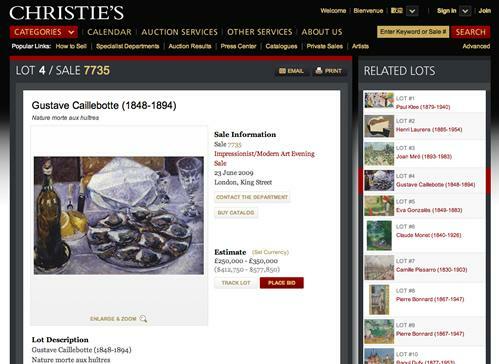 Christie’s will offer a work of Caillebotte ‘Still Life with Oysters’. The colors are bluer than I imagine. Please show me if you get it! I wish a Japanese art museum obtains it. 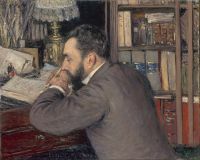 Ambroise Vollard, Paris, circa 1900. 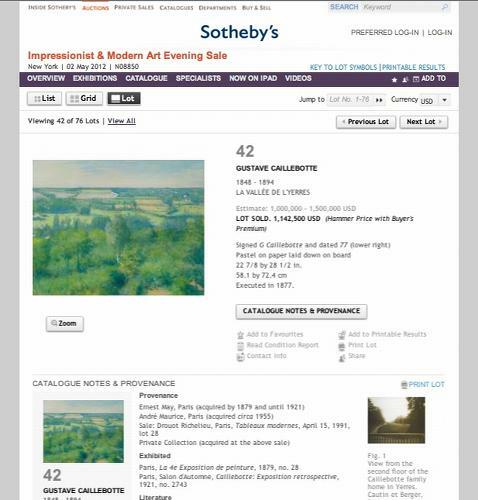 Anonymous sale, Sotheby’s, London, 2 April 1981, lot 310. F. F??±n? ?±on, ‘Les impressionnistes en 1886’, in Oeuvres, Paris, 1948, no. 2, p. 88. M. B? ?±rhaut, Gustave Caillebotte, catalogue des peintures et pastels, Paris, 1951, no. 166. M. B? 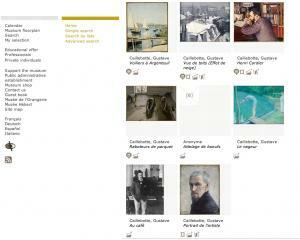 ?±rhaut, Caillebotte, sa vie et son oeuvre, catalogue raisonn? ?± des peintures et pastels, Paris, 1978, no. 180, p. 55 (illustrated p. 142). 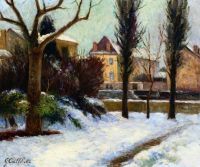 M.J. de Balanda, Gustave Caillebotte, Lausanne, 1988, p. 110 (illustrated p. 111). M. B? ?±rhaut, Gustave Caillebotte, catalogue raisonn? ?± des peintures et pastels, Paris, 1994, no. 195 (illustrated p. 148). N. Broude (ed. ), Gustave Caillebotte and the Fashioning of Identity in Impressionist Paris, New Brunswick, New Jersey and London, 2002, p. 207 (illustrated fig. 70, dated ‘ca. 1880-1882’). Paris, Galeries Durand-Ruel, Exposition r? ?±trospective d’oeuvres de Gustave Caillebotte, June 1894, no. 68. Paris, Galerie Charpentier, Le pain et le vin, 1954, no. 25. 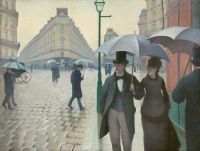 Paris, Galeries nationales du Grand Palais, Gustave Caillebotte, Urban Impressionist, September 1994 – January 1995, no. 91 (illustrated p. 240, dated ‘1880-1882’); this exhibition later travelled to Chicago, The Art Institute, February – May 1995 and Los Angeles, County Museum of Art, June – September 1995. 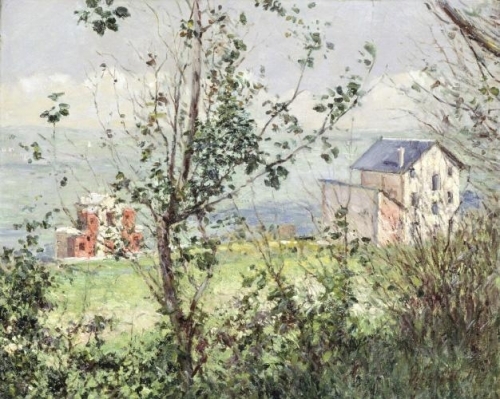 Lausanne, Fondation de l’Hermitage, Caillebotte, au coeur de l’impressionnisme, June – October 2005, no. 52 (illustrated pp. 102 and 111, dated ‘1880-1882’). Gustave Caillebotte painted Nature morte aux hu?? ?tres in 1881, during a period when he focussed intensely on the still life as a subject. 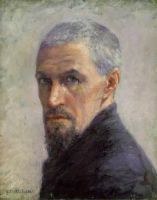 The picture entered the collection of Caillebotte’s brother Martial and was exhibited in the artist’s posthumous retrospective in 1894 before being acquired by the legendary dealer Ambroise Vollard. The work shows a single place setting at a small table, with a bottle of wine, a folded napkin, lemons and oysters, which had become an expensive delicacy due to overfishing, already served. The table is viewed from the other side, from a raised perspective, with the viewer placed in the position of some passer-by, perhaps even the waiter. Meanwhile, the artist’s signature is placed by the chair, implying that the seat may subsequently be occupied by Caillebotte himself. In his analysis of this painting, Douglas W. Druick suggested that this ambiguity, ‘can be seen as alluding to [Caillebotte’s] dualism as artist-worker and bourgeois collector within the economy of the Impressionist enterprise. Once again he embodied the oppositional dynamic that is at the heart of his most original contributions to the painting of modern life’ (D.W. Druick, ‘Caillebotte’s Still Lifes’ in Gustave Caillebotte and the Fashioning of Identity in Impressionist Paris, New Brunswick, 2002, pp. 205-07). Of the various artists associated with Impressionism, only Paul C? ?±zanne made the still life a major part of his pictorial explorations of reality. 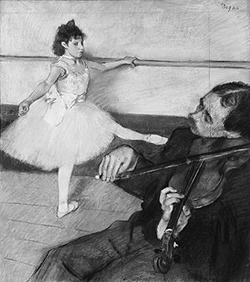 Nevertheless, it provided Caillebotte with a crucial forum for pictorial experimentation, hence Druick’s statement that, ‘Caillebotte’s occasional engagements with the subject of still life in the late 1870s and early 1880s produced some of the most provocatively original compositions within his oeuvre’ (ibid, p. 197). Caillebotte explored the theme on several occasions throughout his career, especially in two significant still life campaigns: the first in 1881-82 when Nature morte aux hu?? ?tres was painted, the second in his flower pictures of the early 1890s. The still life, which before moving to moving to Petit Gennevilliers he often infused with an urban twist, allowed him to explore innovative compositions, as is demonstrated in this view of a place setting from the ‘wrong’ side of the table. These compositions were in part based on his experiments with and observations of photography, resulting in their appearing as snap-shots, vignettes of everyday life in Paris, in this case perhaps in a brasserie; the artist’s combination of subject matter and composition in Nature morte aux hu?? ?tres, lends it a vivid immediacy, using techniques similar to his celebrated 1879 picture, Le d? ?±jeuner, which also treated the subject of food and the consumer. Its realism and honesty appear to place it at a distance from the overly-composed still life paintings of oysters of the Dutch Old Masters or even from Manet’s sensual and glamorous Hu?? ?tres et champagne painted only a few years earlier, revealing Caillebotte bringing his own unique vision to the subject, discarding all precedents and achieving a singularly modern vision, a glimpse of life from the point of view of the Parisian fl?? 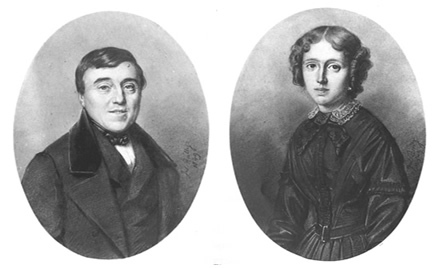 ?neur so celebrated by Charles Baudelaire. It is not only a striking portrait of everyday life of modern Paris, but a portrait of the artist’s life as well. The new personalisation of still life, using props from the artist’s domestic environment (pipes, newspapers and playing cards) was later championed by Braque, Picasso and Matisse, whose use of such everyday objects was crucial to the experiments of the early 20th Century avant-gardes.